DINING & BEVERAGE OPTIONS AT THE GROVEDALE HOTEL FOOD & DRINKS MENUS FOR ALL OUR VENUES. 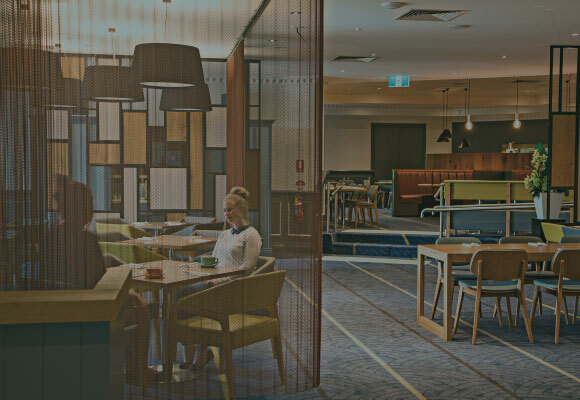 Depending on your mood, you can relax in any one of our three dining and bar areas. 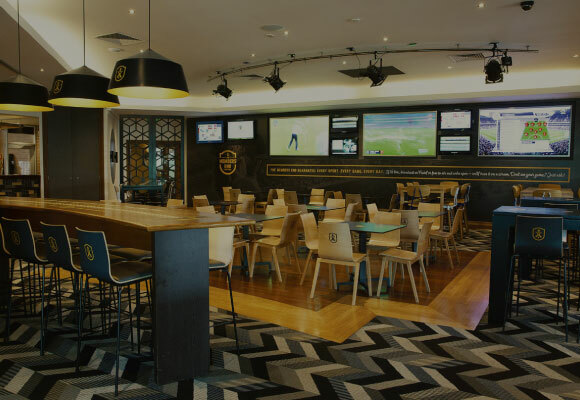 You can enjoy a pint and a parma while watching the game in our sports bar. Take in some live music, a craft beer and some pulled-pork sliders in our open-air garden bar. And if those don’t take your fancy, you can enjoy a meal from our restaurant menu at our flagship three-space dining room. The Pioneer Kitchen menu is packed full of delicious, flavourful options, made from local produce. 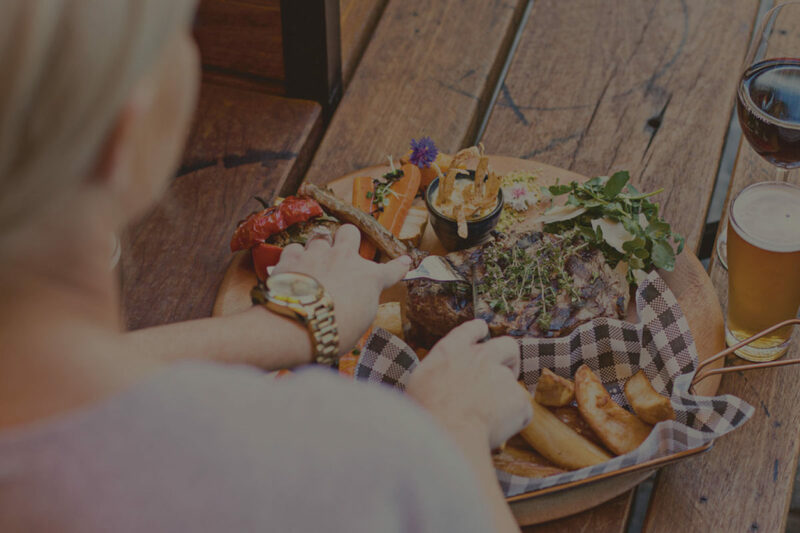 We cater to suit almost every taste, whether you are a steak aficionado or a seafood enthusiast, a pasta connoisseur or a vegetarian looking for a tasty dish. If it’s a drink you are after – we’ve got a wide selection of drinks to match your dining options and personal tastes. 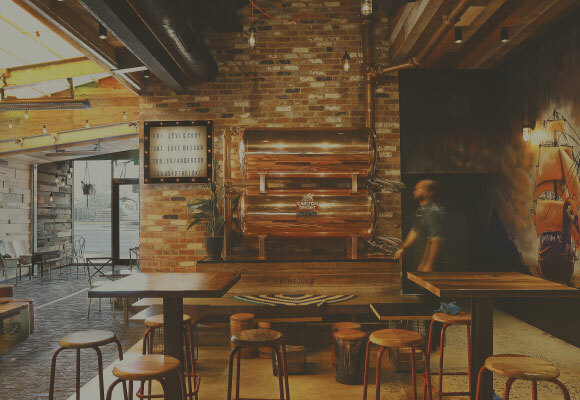 Whether you want a Penfolds Bin 28 Kalimna Shiraz by the bottle, a Saltram 1859 Shiraz Barossa on tap from our barrel-fresh wines selection, or your favourite craft beer, you’ll find something you like here. A bit parched? Our growing list of craft beers changes every month. But one thing stays the same – our commitment to bring you the latest and most exciting seasonal craft beers on offer. And if you’re in a more sessionable mood our mainstay is the freshly brewed Unpasteurised Carlton Draught from our gorgeous copper tanks. There’s nothing quite like watching high-performance athletes expending every ounce of energy while you’re sitting back in a comfortable chair enjoying a pub classic like our delicious parma with a side of crispy fries. You are going to need a drink for the big game. As you know, hydration is very important for any serious armchair athlete – and the last time we looked beer was full of water. Okay, we might not be sports scientists. But we do know you’ll love the range of ice cold drinks we have for you to choose from.